The 2014 Nissan Versa Note is here at Uftring Nissan in Peoria and offers the best fuel economy and price you can find. If you’re looking for a dependable car for a very affordable value, the 2014 Nissan Versa Note is a great option. The car has a class-leading fuel economy of 40 MPG highway! Save money with the purchase of your car and save even more money while driving it. You’ll save more money than you ever have before on your dollars spent at the pump. At 40 MPG highway and 31 MPG city, you won’t have to stop at the gas station nearly as often as you do now. The 2014 Nissan Versa Note is an absolute must-see! Just one test drive and you will see why it’s one of the hottest cars on the market. 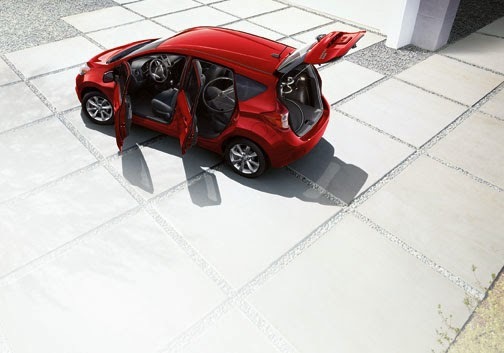 The front-wheel-drive Versa Note fits 5 passengers comfortably, with extra room for storage and cargo space. The 4-door hatchback style rear gives you a unique feel. One look and you will see that there’s no other vehicle on the road that looks quite like a new Versa Note. While this vehicle isn’t the most powerful Nissan available, it can hold its own with the 1.6L four-cylinder engine and 109 horsepower. Safety always comes first with every Nissan at Uftring Nissan, and safety doesn’t disappoint with the Versa Note. Anti-lock breaks, traction control and safety air bags come standard and keep you safe while driving from point A to point B. With the available Around View Monitor, you’ll never have to worry about parking again. The 2014 Nissan Versa Note was even named the Best Back to School Car by Kelly Blue Book! Stop in for a test drive, or view our complete 2014 Nissan Versa Note inventory online.